How to show that LGBT (lesbian, gay, bisexual, transgender) people are a part of society and that their identity does not diminish the fact of being useful for the state? One of the means: to conduct a social-economic research to find out what benefits they can provide with their workforce and what will be the losses for the state in case of their isolation. Will the material damage due to suppression of LGBT people convince the authorities to reconsider their position towards this vulnerable group? 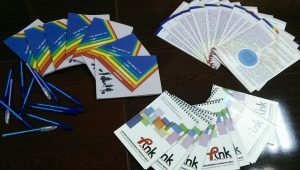 The budget of the Armenia lost $20 million due to LGBT emigration, and in the following 12 years the budget of the country will lose $370 million as a result of LGBT people leaving Armenia. The research conducted by “Public Information and Need of Knowledge” and “Socioscope” Societal Research and Consultancy Center NGOs proves this. “They will say we lose 20 million, let it be, but at least our gene will remain clear”, he notices with irony. Sociologist Anna Zhamakochyan, who worked on the research, while responding to this observation says that it is important to not consider the problems of LGBT people apart from the society, but to form a way of thinking that if any group has a problem; it makes an impact on everyone. According to the research, Armenia has also lost in terms of educational investments of LGBT people. Thereby, during the years 2011-2013, the state lost around $21 million in one go only. According to the Women’s Resource Center director Lara Aharonian, LGBT related issues must be raised by themselves as one cannot talk about an issue the reality of which they did not feel. Agreeing with Aharonian, Ohanyan added that there is no opinion maker or a person enjoying public reputation/recognition in Armenia, who would openly talk about their sexual orientation: “The matter of personal security is not solved, so that one could openly talk about it” he says. The study shows that in contrast to other emigrants, whose main reasons for emigrating are economic issues, LGBT people leave because of discrimination against them. Based on the research a recommendation was made to RA authorities to adopt anti-discrimination legislation.